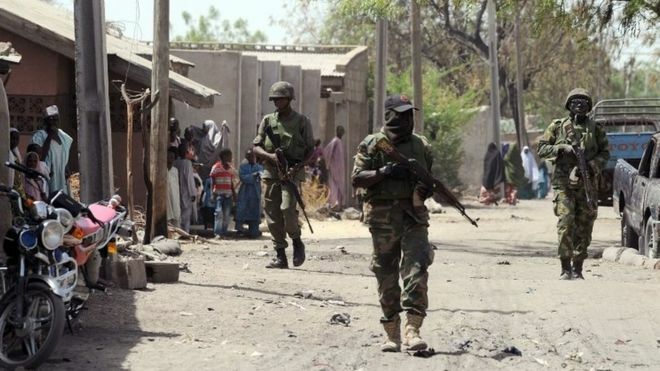 Nigeria's military has revoked its earlier decision to suspend activities of the UN children's agency Unicef in the north-east of the country, BBC reports. The military said this came after "extensive deliberations" during emergency talks with Unicef officials. Earlier on Friday, the army had accused the agency of spying for Islamist militants in the restive region. Millions of people displaced by the Boko Haram insurgency in the north-east are dependent on humanitarian aid. In a statement, the army said that it had lifted a three-month ban on Unicef's operations. It said that during the meeting it urged "Unicef representatives to ensure they share information with relevant authorities whenever induction or training of new staff is being conducted". The statement came just hours after the military had accused the UN agency of spying for Islamists. "[Unicef staff] train and deploy spies who support the insurgents and their sympathisers," the army said. These were "unwholesome practices that could further jeopardise the fight against terrorism and insurgency," it added. This is not the first time the army has taken dramatic action against the UN agency. In April, the military declared three Unicef workers persona non grata, following leaked allegations of sexual abuse by Nigerian soldiers. That decision was also swiftly reversed. More than 30,000 people have been killed and many more driven from their homes.